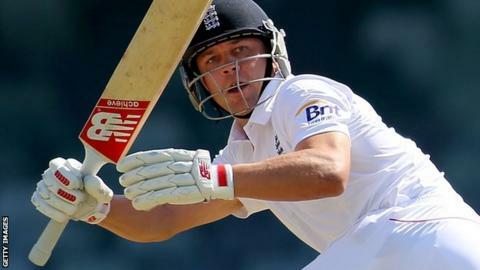 England batsman Jonathan Trott is to take a break from cricket after a recurrence of the anxiety issues that forced him to leave the Ashes series. Trott, 32, left England's Australia tour in November, because of a "long-standing stress-related condition". He played a county game for Warwickshire this week, but said: "To my disappointment I've felt the same anxieties that occurred in Australia. "It is not fair to continue when I am unable to function at 100%." Trott, who recently spoke of his intention to resume his international career, has played 49 Tests for England. There has been confusion about the exact nature of the illness, since the player himself said in interviews in March that he was "burnt out" and "emotionally and mentally spent". However, that led to some media criticism with former England skipper Michael Vaughan saying he felt "conned" by the England and Wales Cricket Board's explanation for Trott's departure from Australia. The South African-born batsman is understood to be keen to stress that he has a genuine medical condition and is upset with Vaughan's comments. However, following Trott's statement that he is taking another break, Vaughan tweeted: "Very sad and I wish him a full recovery." Trott recently said he was feeling "refreshed" after enjoying a family break and that he was looking forward to getting back to action. In an announcement on the ECB's website, Trott added: "I have decided it is best for all involved that I continue my recovery on the sidelines for the time being. "I would like to thank Warwickshire and the ECB for their continued support through this time." The ECB's chief medical officer Dr. Nick Peirce said: "Despite Jonathan wanting to play for Warwickshire from the start of the season, having spent time with him yesterday it is clear that he will benefit from a further period away from the game. "He will continue with the comprehensive support programme the ECB has put in place to assist his rehabilitation." Trott scored 37 and 26 in Warwickshire's seven-wicket defeat by Sussex, but it is unclear when he will play cricket again.